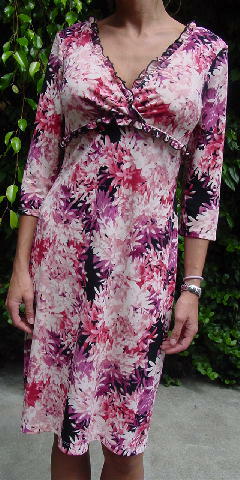 This 100% polyester dress has a wide ruffled 10" V neckline and a high waist which also has a ruffle around it. 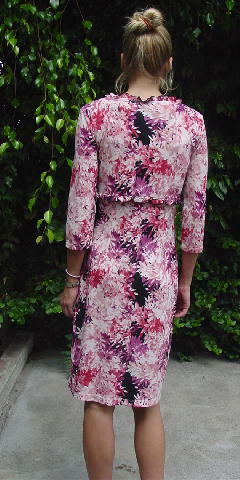 It's by BCBG Paris and has a floral design in black, white, reddish-brown, watermelon, and muted cherry. The tag says size M, but it fits smaller than that.